The BNOC Food Pantry has a new look! 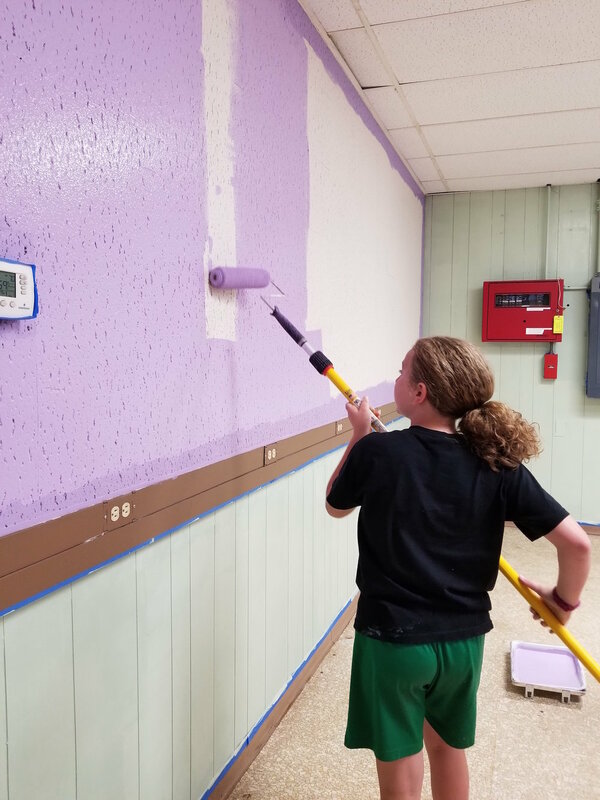 In case you haven't popped into the Bellville Neighborhood Outreach Center Food Pantry lately, we thought we'd catch you up-to-speed on our latest improvement - and it comes in the form of paint! The last time the BNOC Pantry was painted was when we first opened our doors over 8 years ago. Between scuffs on the walls and fading colors, our pantry was screaming for a fresh look. We posted information at the BNOC and on our website that the pantry would be closed from 6/4/18 - 6/10/18. The Saturday before the closure, old shelves were removed and the room was cleaned. Then, painting began Monday, June 4th. Our esteemed painters came in the form of Matt, Caleb, and Mattie Merendino, as well as Greg Letizia. 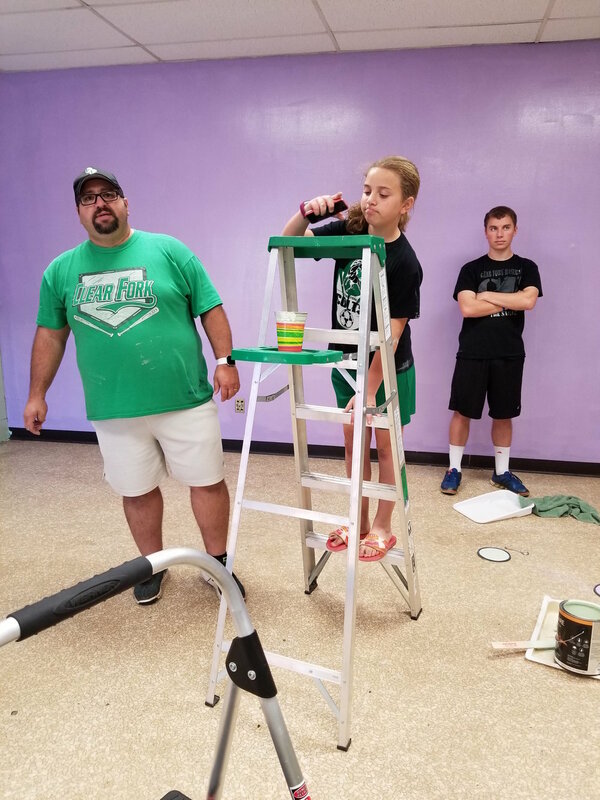 Paneled walls were painted green and normal walls were painted purple. Walls and trim were finished that Monday. 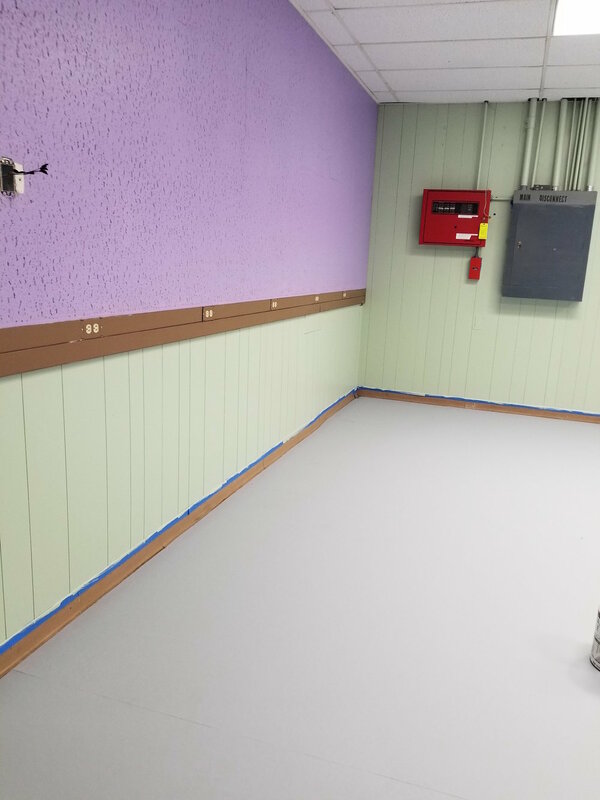 On Tuesday, Greg painted the floor (grey in color). He also gave the doorways a fresh coat. Then, on Thursday and Friday, Greg painted the freezer room floor. On Saturday morning - after the paint had dried - Bruce & Craig Hoeflich put together our new shelves. The shelves, which are brown in color, were donated by Jason Potes, owner of Stoodt's Market in Bellville. Jason is also a trustee on the BNOC board. 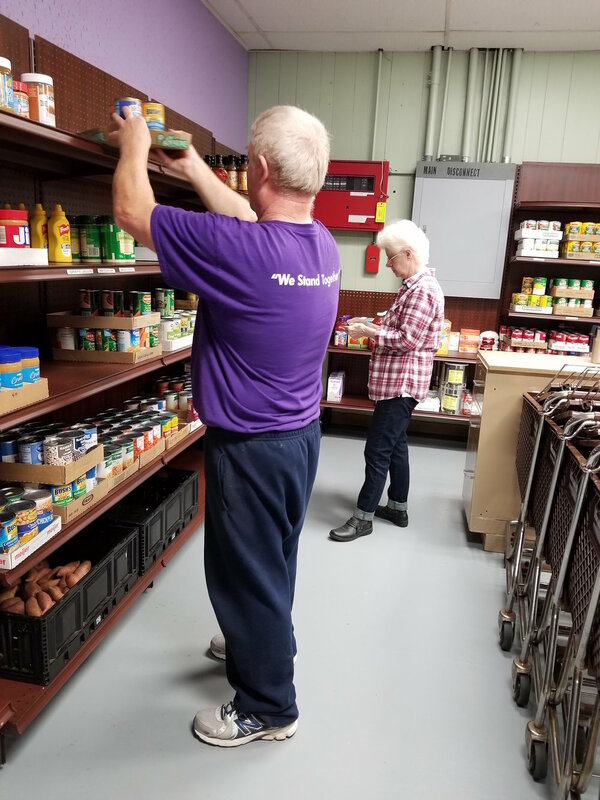 That same day, at 10:30 AM, 8 volunteers (Linda Rivers, Kevin Dearth, Linda Holben, Dicie Hatten, Loni Muir, Greg Letizia, Craig Hoeflich, and Carol Hoeflich) pitched in and started stocking the new shelves. We were done by 1:30 PM. 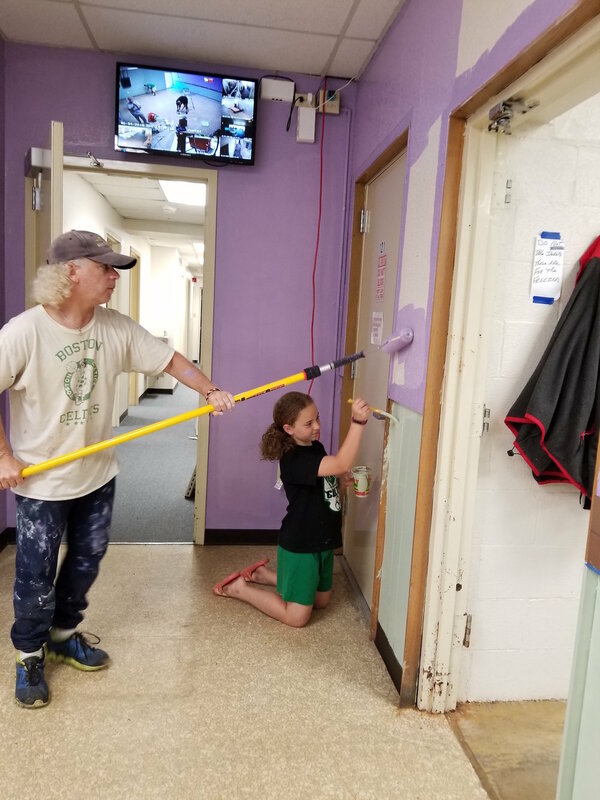 A special thanks to all our volunteers, especially Greg Letizia for the incredible amount of painting - we would not have hit our deadline without his help. Also, a special thanks to Bruce and Craig Hoeflich for their hard work, both before the painting, as well as in putting the shelves together after the painting was complete. We've had great feedback from our visitors on the new, fresh look! Next time you're in the BNOC, let us know what you think of the bright, airy space!